While water heaters are often overlooked as they quietly perform their jobs providing heated water throughout the year, if your water heater breaks down or goes on the blink it quickly becomes very evident just how important these items are. When it’s time to replace your electric or gas hot water heater, calling a professional will be the smartest thing you can do. Art Plumbing, AC & Electric can provide and install the latest in energy efficient water heater technologies that will save you money. We service most brands and we stock quality water heaters for nearly every residential and commercial application. Our water heaters are energy efficient, warrantied, and designed to give you many years of service. Don’t run the risk of an early morning ice cold shower because you have no hot water, call Art Plumbing, AC & Electric today for more information regarding water heaters, repairs and installations. The traditional tank system is the most common of water heaters, as they are known for their effectiveness and reliability in providing a constant source of hot water. If you haven’t purchased a new hot water heater in some time, you’ll be surprised by how much more energy efficient today’s tank models are than just a few years ago. There are a few things to keep in mind when choosing a water heater. First, you must consider hot water tank capacity. Every home has a certain amount of water it will use in one hour. This is how hot water tanks are measured – by their one hour peak capacity. If you turn on every shower, hot water faucet and dishwasher in your home for an hour, how much hot water do you need? The realistic amount your home uses will help determine how big of a tank you’ll need. Tank hot water heaters, while more efficient than they once were, are still not the best options around. They use fuel to heat water continuously, whether you’re using it or not. So, even if you don’t use hot water all day, you’re paying money to heat it for no reason. You can take some steps to reduce the consumption, such as cutting the holding temperature to just 120°F instead of 140°F and cleaning your tank once every 6 months. 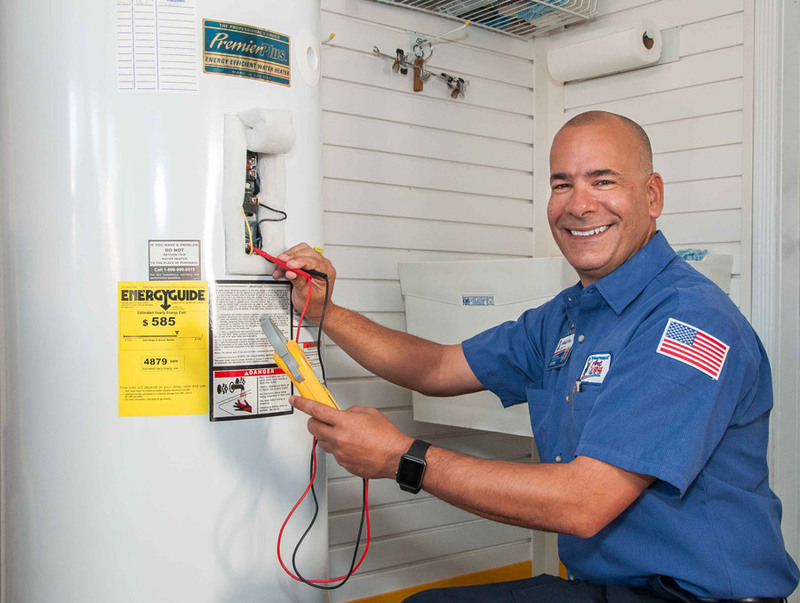 Art Plumbing, AC & Electric can provide you with more tips for reducing energy costs related to water heating, as well as provide you with routine maintenance to keep your new water heater in great shape. You don’t use hot water 24 hours a day, but with a standard storage hot water heater, you’re paying to heat water 24 hours a day. You’re heating and reheating the same water even when you’re sleeping. A tankless water heater system works by heating the water only when you need it. Rather than storing water in a tank and constantly using energy to keep it hot, a tankless system flash heats water when a fixture calls for it. There’s often a short delay before you are able to feel the hot water, so you’ll need to be a little more patient, but a tankless water heater will work as long as is needed to keep your water warm. The upside to this is that because it is a far more energy efficient system, you will significantly reduce your energy usage costs. So, when you don’t use your hot water at all while on vacation or a weekend away, you’ll save a lot of money. 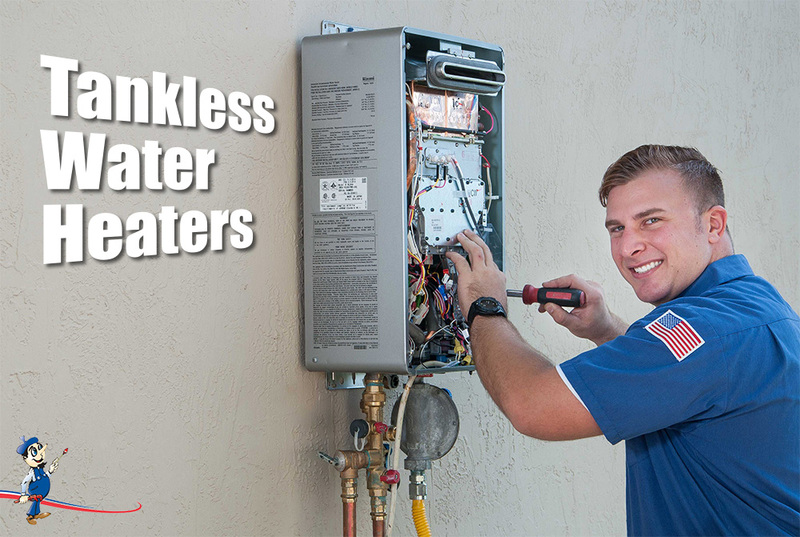 Call the tankless water heater experts at Art Plumbing, AC & Electric today for more information. Solar water heaters, also called solar domestic hot water systems, can be a cost-effective way to generate hot water for your home. They can be used in any climate, and the fuel they use, sunshine, is free. Most solar water heaters require a well-insulated storage tank. Solar storage tanks have an additional outlet and inlet connected to and from the collector. In two-tank systems, the solar water heater pre-heats water before it enters the conventional water heater. In one-tank systems, the back-up heater is combined with the solar storage in one tank. Art Plumbing & Air Conditioning offers a variety of water heating solutions that allow you to use the sun’s power to provide hot water for your home with great efficiency and low energy costs, as well as a variety of options to store your hot water and provide backup capabilities if necessary. Call us today or request an appointment online to consult with one of our Comfort Advisors and find the perfect solar water heating solution for your home. There are a few options when setting up a hot water recirculation system, including push-button controls or programmable timers to maximize water conservation and energy savings. If you’re looking for water recirculating systems or circulating pumps, to learn more, call Art Plumbing, AC & Electric today to learn more. An annual “Flush & Fill” maintenance cleans out your water heater tank and restores its efficiency. Build-up of sediment in your water heater’s tank is a natural occurrence, however, the consequence of this build-up is a reduction in the amount of usable hot water in the tank, a decrease in your water heater’s efficiency, and a reduction in the overall lifespan of your water heater. A water heater should be flushed out and refilled annually. Left alone, this sediment will impact the water heater’s ability to heat water, making it less efficient, and can also corrode the inside of the tank leading to premature failure. Call Art Plumbing, AC & Electric today for a “Flush & Fill” that will save you money in energy costs, restore the efficiency of your water heater, and remove the nasty build-up at the bottom of your tank.